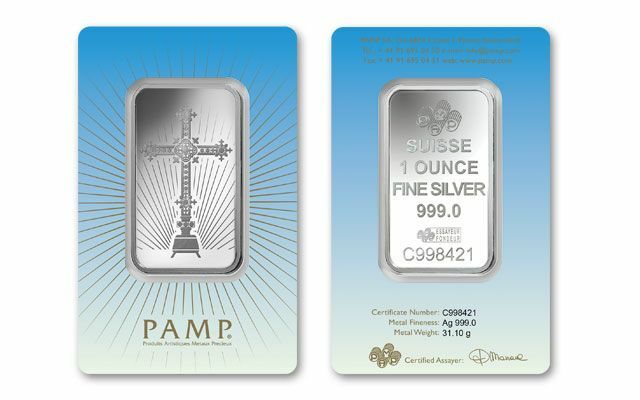 The indisputable quality has earned PAMP® Suisse one of the highest distinctions in precious metal bars. You could actually say they’ve set the bar high for good reason. 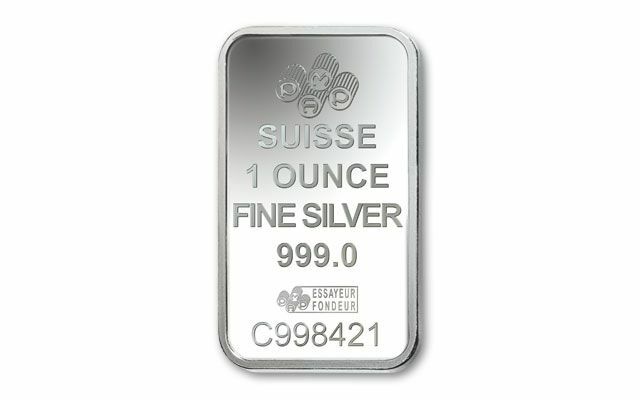 One is that each Brilliant Uncirculated (BU) bar is struck in one ounce of 99.9% pure silver. 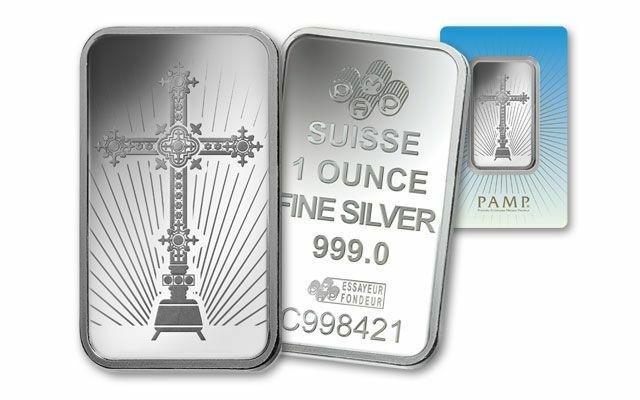 Each is also securely sealed in a PAMP Suisse official assay card that reflects its serial number, fineness and weight. What more could this bar possibly offer? A supremely popular subject matter, of course! 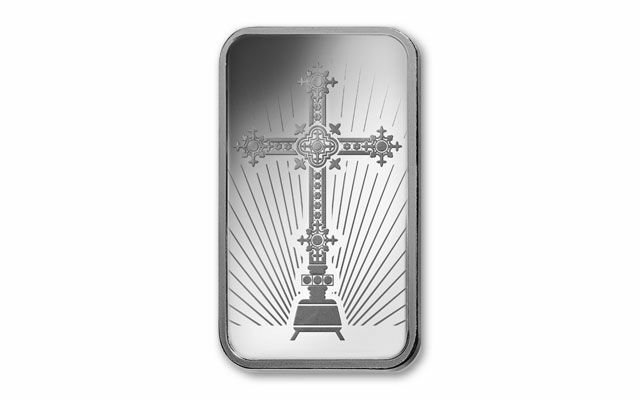 The cross is a universal Christian symbol used by most denominations and this Romanesque design is sure to please the masses!